It was time again for the staple in the triathlon community to shine. 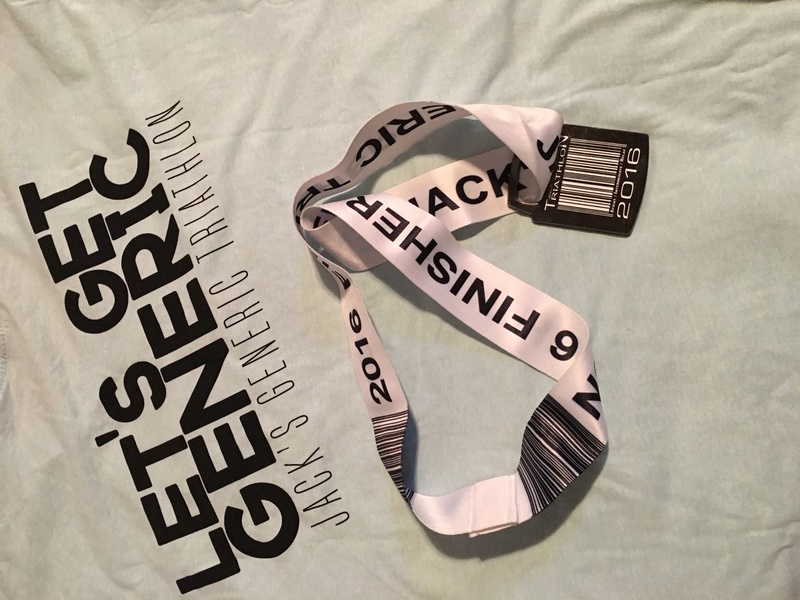 Jack’s Generic Triathlon, started by Jack Murray is now running in it’s 14th year. The race was hot today, but that’s no different than any other year. This race has taken place the last few years at Lake Pflugerville, after moving from the Texas Ski Ranch. Most people feel that this was a great move, it’s pretty easy to get into, spectate, and the course is relatively easy. They have two distances, the original sprint (500M swim, 12.9 mile bike and a 3 Mile run) and a longer intermediate distance (1000M swim, 25.8 mile bike and a 6 mile run). The race began at 7:30 am with the male open wave and quickly followed the female open wave prior to letting the age group athletes go. It was hot from the very beginning. If you know Pflugerville Lake area, you know that shade is scarce, so expect the heat as soon as you leave the water until you get back in your car. The swim was pretty much an out and back from the beach area and then you headed to T1 conveniently placed in the parking lot. The bike course is situated around the rolling hills of the countryside. The road had some patchwork along the first 2 miles, but was pretty smooth the remainder of the course. After you returned to the park, the run course is around the entire lake. The surface is mostly crushed granite and it’s as flat as you can get and is about as hot as you can get (unless you wanted to wait till noon to run.) The race concluded back at the parking lot and the after-race festivities were contained in a large area next to the lake. If you chose to do the intermediate distance, you got the fun of doing everything twice. A total of 639 people were involved in the race, when you add the volunteers and spectators, the crowd was a nice size. As always, the High Five event crew put on a great, safe race that is well liked in the community. The event draws many spectators, triathlon teams, and vendors out to Lake Pflugerville for some hot end of the summer entertainment. This event is part of the Texas Tri Series which features several local races and one race in Kerrville.